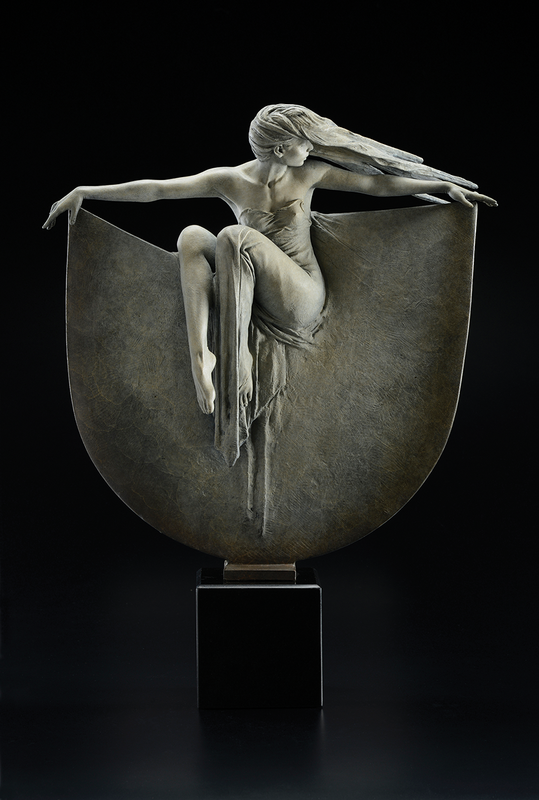 A leading light with his modern interpretation of classical figurative sculpture, Michael Talbot is a rare breed of artist. His bronze creations are known for their beauty and elegance, with exceptional attention to detail. Born in Staffordshire in the north of England, he completed a BA honors degree in Sculpture and then gained a scholarship to the Royal Academy of Arts in London for post graduate study, winning the coveted Landseer prize in 1983. He studied further at The Sir Henry Doulton Sculpture School where he was the top student. One of Talbot’s exciting new projects is taking him away from his typical lean toward the feminine, in the form of The Royal Ballet’s Principal dancer, Edward Watson. Talbot is also to create a body of work consisting of several (yet to be defined) sculptures of Kate Moss. He is being tight lipped, but says, “I feel privileged to be working with Kate and she’s inspired me to create something a bit different and I think very special.” His work is sold mostly in Europe and at Lahaina Galleries in California and Hawai‘i (The Shops at Wailea and Front St. in Lahaina).